This is a 200km mixed-terrain ride starting out of Yarragon and traversing the Strzelecki ranges to Foster and back. This is an Audax ride run by mixed-terrain meister Gareth Evans - his rides are basically MGG rides but bigger. How can you go wrong? Here's some more pics and some more pics from a previous edition and here's Gareth's site which has more info and lots of eye-candy for gravel grinders. Contact Gareth at gareth.d.evans@gmail.com for details and rego instructions. Another MGG-esque event. I've said it before and I'll say it again - make sure it's in your calendar! 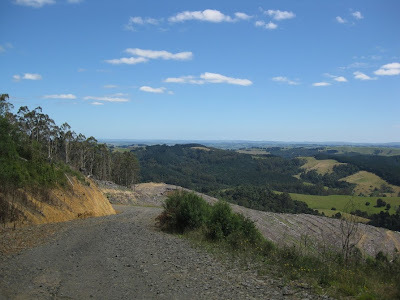 90km of dirt roads and fire roads and hills and probably mud and sandwiches and mud. Last year's edition was a ripper and this year's will be too. Check out all the details on the official website.